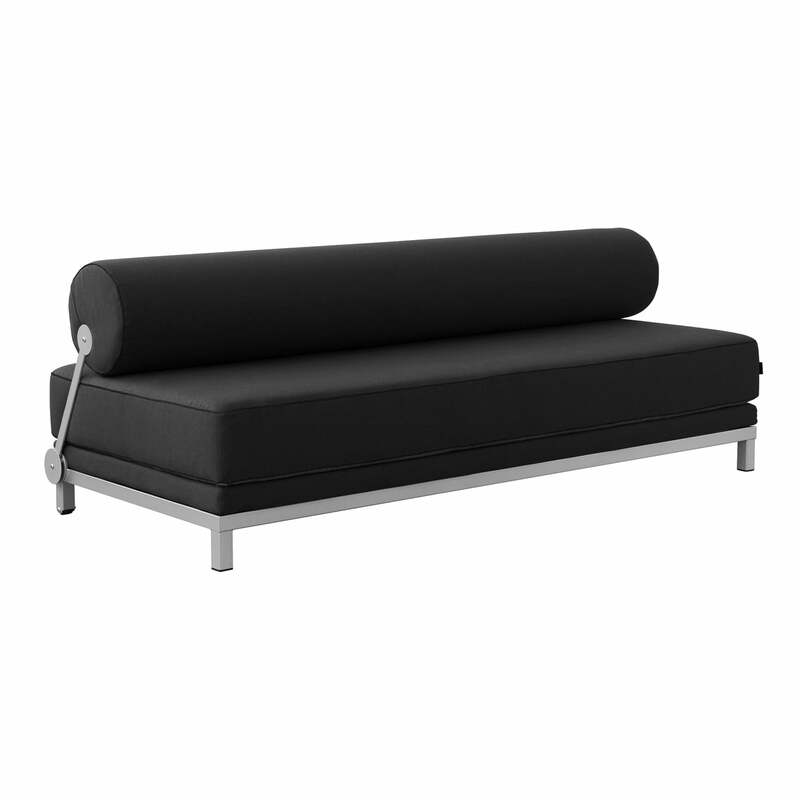 The Sleep Daybed was designed by Busk+Hertzog in 1999 and has lost none of its timeless charm to this day. 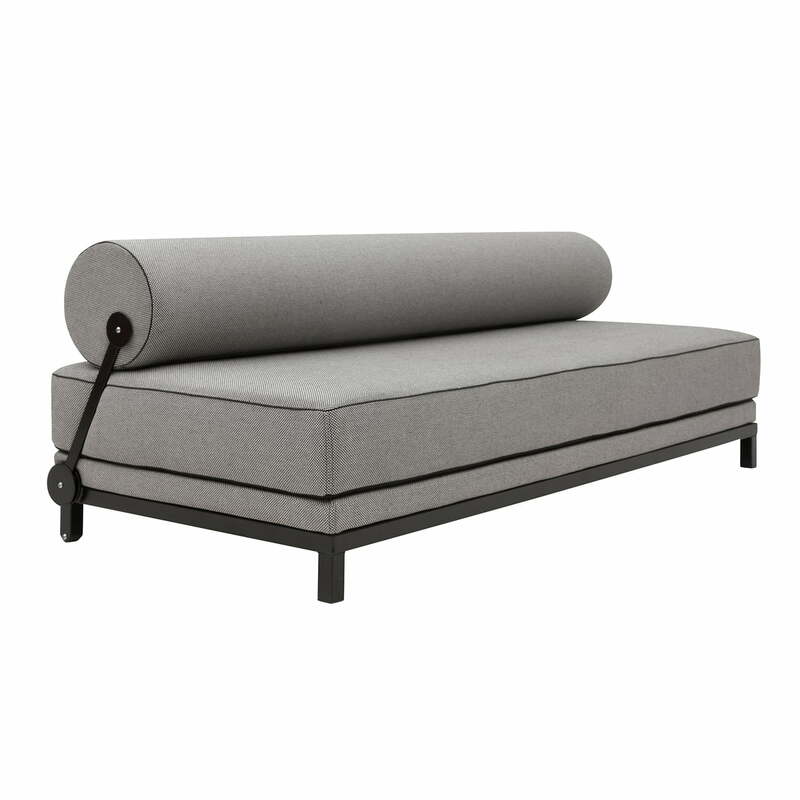 The Softline daybed was the winner of a Danish design competition and continues to impress with its outstanding and functional design. 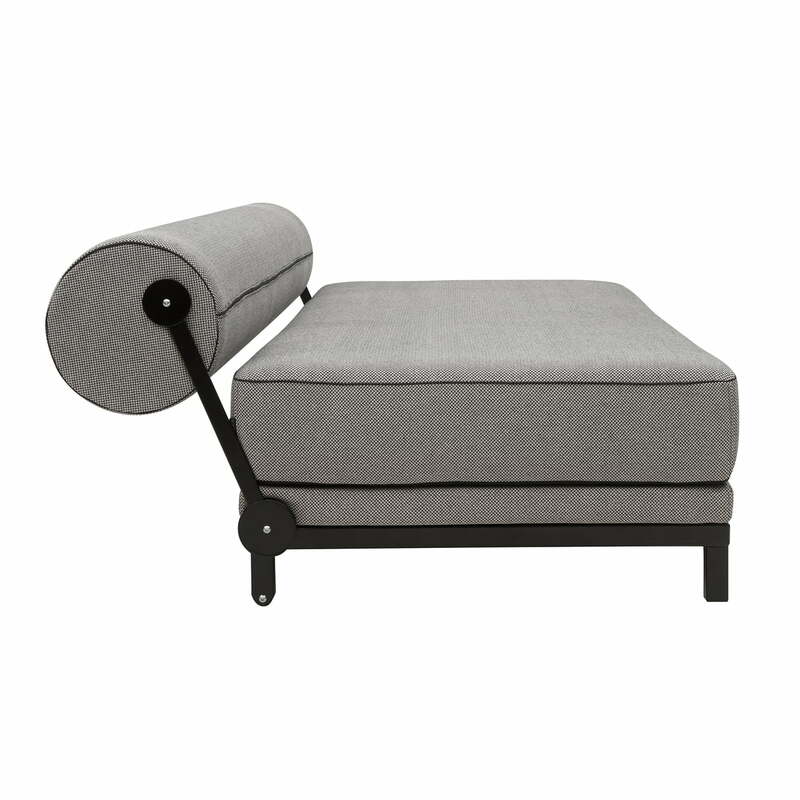 The cylindrical backrest turns the classic lounger into an eye-catcher. This is fastened to the sides of the bed by means of metal braces and thus gets an unusual look. Practically, the backrest can also be folded down. This results in a lying surface of 88 x 200 cm. 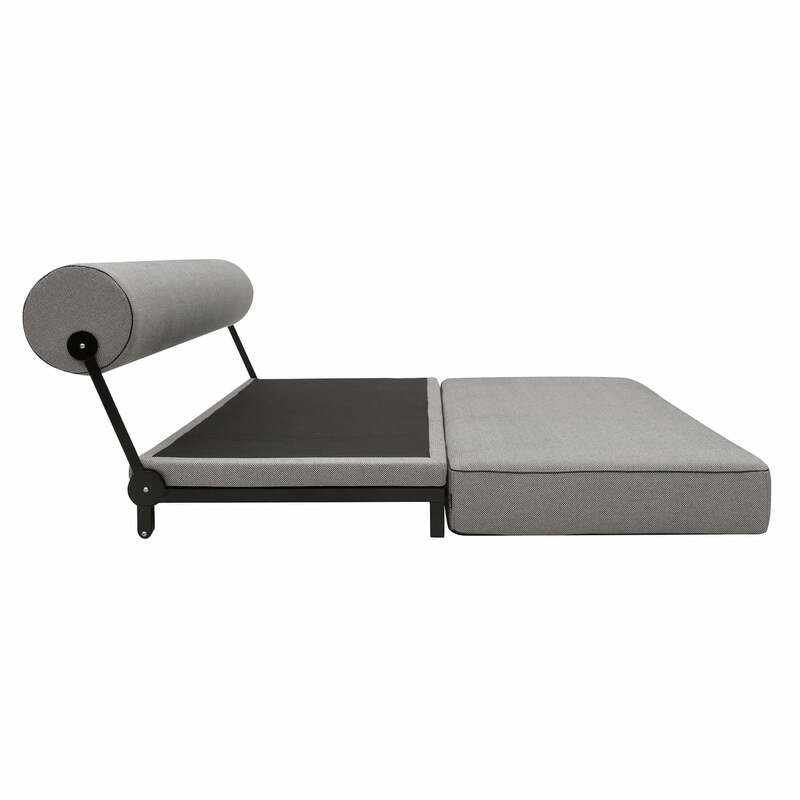 In addition, the daybed can be folded down again. With a total lying surface of 176 x 200 cm, the Sleep Daybed offers enough space for two people to relax and sleep. Sleep consists of a metal frame in aluminium or black. Different covers in different colours make the Daybed perfect for every room. It saves space and blends discreetly into any room. It can be used as a single or double bed and the adjustable back allows any desired sitting position. The cylindrical backrest turns the classic lounger into an eye-catcher. This is fastened to the sides of the bed by means of metal braces and thus gets an unusual look. The cylindrical backrest turns the classic lounger into an eye-catcher. This is fastened to the sides of the bed by means of metal braces and thus gets an unusual look. Practically, the backrest can also be folded down. Fabric map Vision by Softline in single view. The fabric comprises 15 colours and consists of 85% cotton and 15% polyester. The abrasion resistance is 40,000 Martindale. 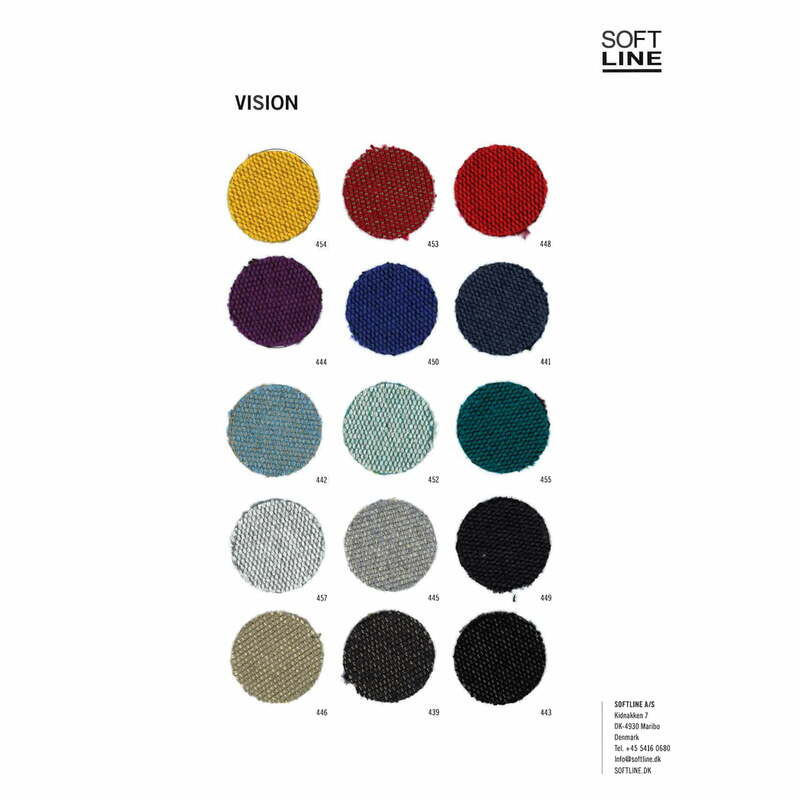 Fabric pattern Felt Melange by Softline in single view. 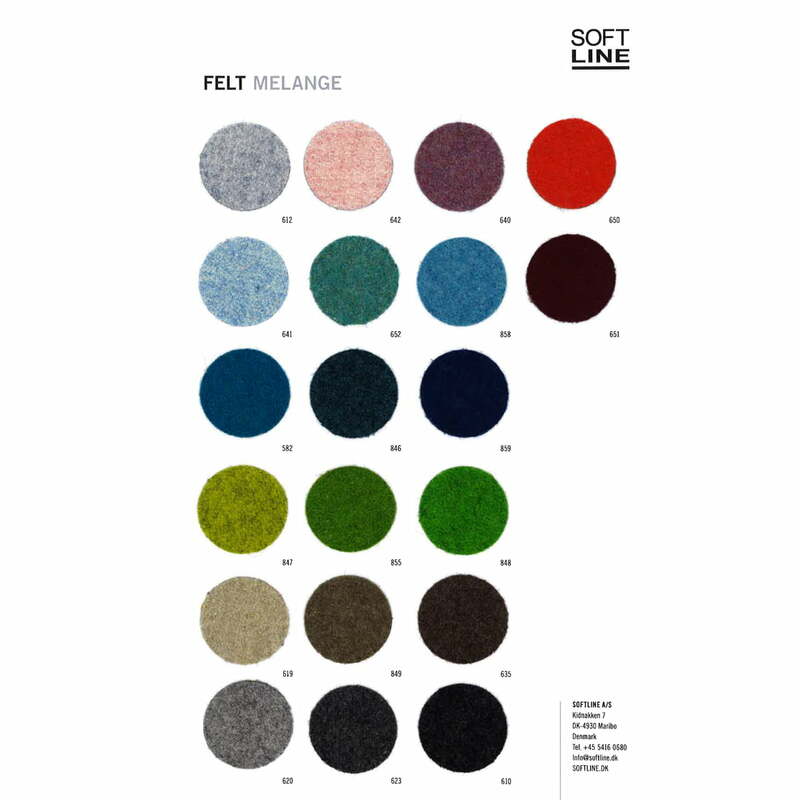 Felt Melange is a type of fabric made by the Danish manufacturer Softline with which numerous upholstered furniture is upholstered. 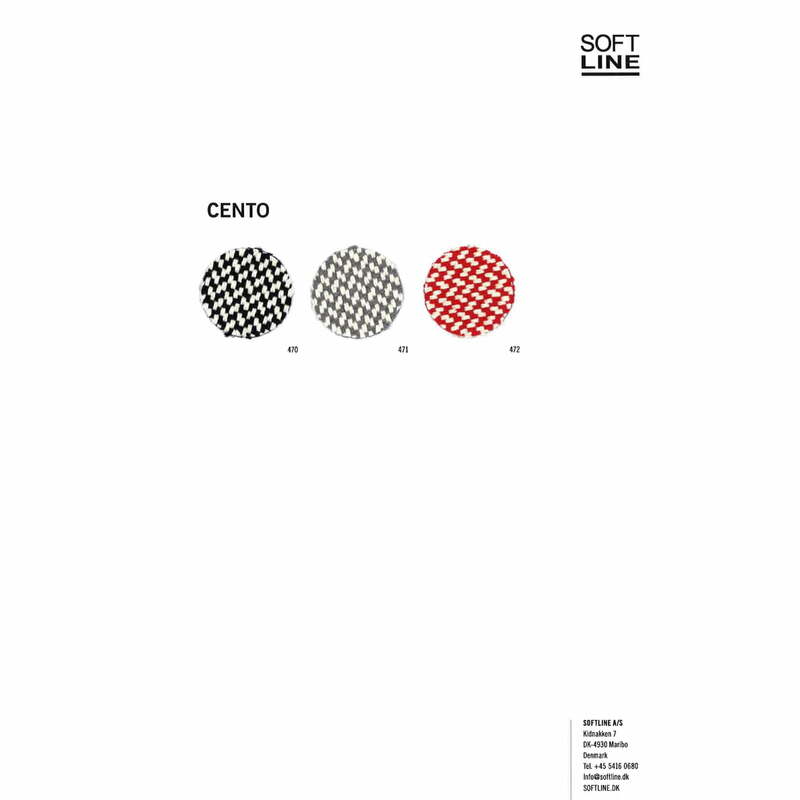 The fabric consists of 70% wool, 25% polyamide, 3% acrylic and 2% polyester. The abrasion resistance is 90,000 Martindale. Sleep Daybed from Softline in the ambience view. 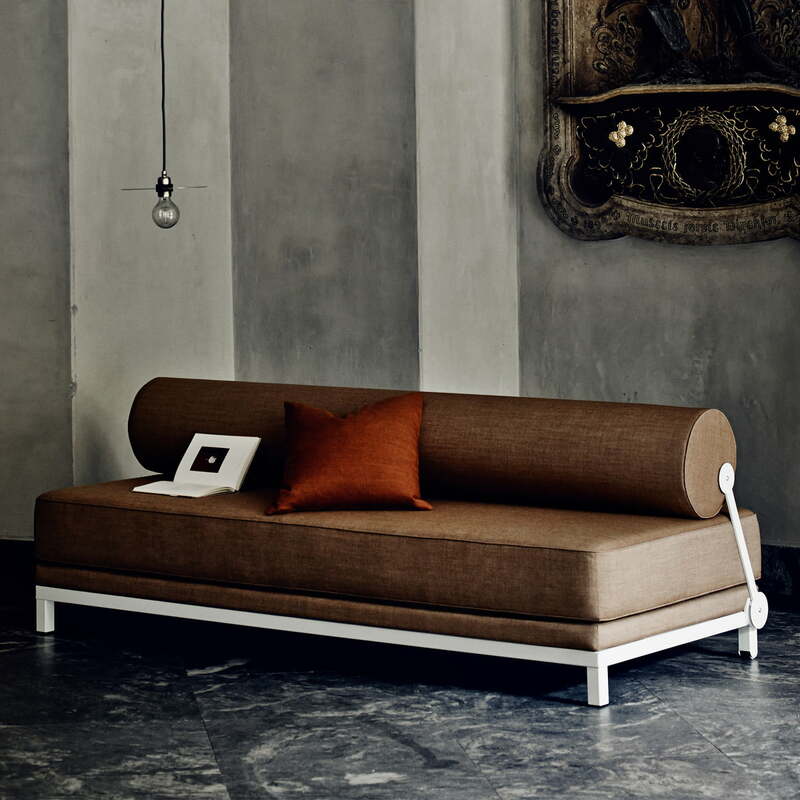 The Daybed is a stylish seating option for the living room and can be used as a practical guest bed if required.